Back in 1970, 48 years before Bronx-based Alejandra Ocasio-Cortez successfully ran as a democratic socialist and defeated an entrenched Democratic congressman, another democratic socialist pulled off the same feat. His name was Ron Dellums. Dellums, an anti-war candidate, unseated six-term liberal incumbent Jeffery Cohelan in 1970 and went on to serve in Congress for 27 years. 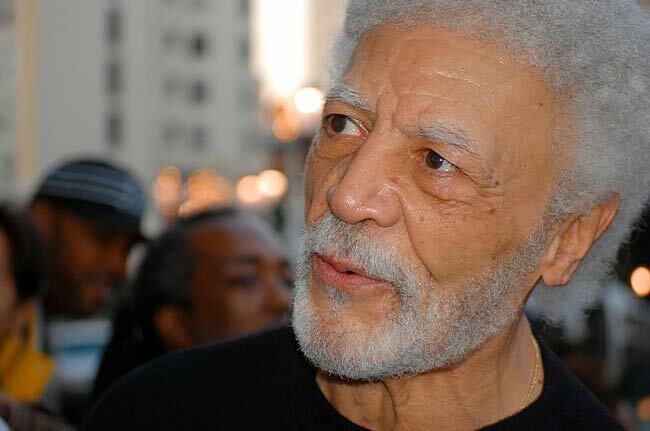 Dellums died of prostate cancer this week at the age of 82. Dellums was born in 1935 and, as Swan notes, was “raised in 1940s-era West Oakland, at that time a predominantly Black district that teemed with barbershops, nightclubs, restaurants and stores.” Representative Barbara Lee, who filled the seat Dellums vacated two decades ago, called him a strong supporter of the leading social movements of his day—notably, the Berkeley free-speech movement, the Black Panther Party, and the antiwar movement. Dellums served 13 consecutive terms in Congress. He chaired both “the House Committee on the District of Columbia—on which he successfully pushed for funding to combat infant mortality and develop affordable housing—and the Armed Services Committee, on which he led the fight to severely curtail production of B-2 bomber planes,” writes Swan. Dellums was also a cofounder of the Congressional Black Caucus; at the time, there were 13 Black representatives in Congress (compared to 48 today). Rep. Louis Stokes (D-Ohio), who chaired the inaugural Congressional Black Caucus, was outraged: “I dropped my lunch right then and there and went over to where the committee was meeting. I reminded [then-Speaker] Carl Albert that white people don’t tell Black people who their leaders are.” Albert relented, and Dellums became the first person to serve on the committee. In 1993, Dellums also became the first Black to be committee chairperson, a position he held for two years, until the Democrats lost their House majority in the 1994 midterm elections. Perhaps greatest legislative accomplishment, though, was a 1986 bill that he shepherded through Congress, which imposed comprehensive economic sanctions on South Africa to protest its apartheid regime. Passage of the law, which required overriding President Ronald Reagan’s veto, proved to be an important step in the demise of the apartheid regime, which finally fell in the early 1990s. People have asked, does that mean you are a socialist? Because I advocate society and the government dealing with the basic human services I guess my answer is yes. The government ought to be in the business of delivering health, education, housing and basic services to people without a lot of game playing. There ought to be comprehensive childcare, a comprehensive approach to housing, a sane, rational way to finance education. But I also strongly believe in the notion of fundamental individual freedom. The government should not do everything for everybody all the time, but it should provide basic services to everyone who needs them. Education ought not be contingent on income or where you live. Neither should health. In Indiana, city and foundation leaders have declared Bloomington the nation’s first “CDFI Friendly City.” The goal is to attract nonprofit finance to support locally based community economic development.